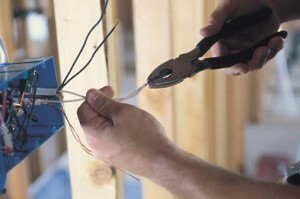 Looking For an Electrician in South Florida? When Quality Matters, Turn to ADIP Electric. At ADIP Electric we run our business with integrity, honesty and most importantly, respect for our client’s needs. Specializing in Custom Electrical Projects, including home automation (computerized smart homes), exterior landscaping, generator installation and a wide variety of additional electrical services, we will make sure that your project exceeds your expectations and be your “One Stop Shop” for your electrical needs. The professional electricians at ADIP work hands on with every aspect of a project and guarantee all of our work for a year. This approach has won us accreditation with the Better Business Bureau and the respect of our fellow members at the International Association of Electrical Inspectors (IAEI). If you are looking for an electrician in Miami-Dade, Broward or Palm Beach County that you can trust, just remember… “When Quality Matters”, Turn to ADIP Electric.